Cataracts affect more than 22 million Americans, and by the year 2020, it will affect an additional 8 million Americans. With these numbers in mind, it is no wonder why cataracts are the most common cause of vision loss in people over 40 years old. Subcapsular – Occurs at the back of the lens and people with diabetes, or those taking high doses of steroid medications, are at greater risk for this disorder. Nuclear – Usually associated with aging, this type of cataract forms deep in the central zone of the lens. 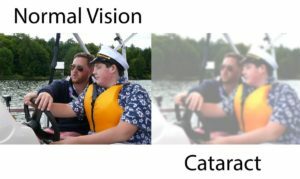 Cortical – Targeting the lens cortex, which surrounds the central zone, is a type of cataract that gradually makes its way to the center of the lens. Hazy and blurred vision will become a gradual occurrence in your daily life. Colors will not seem as bright, lights will cause more glare, and you will notice that your ability to drive at night will become more difficult. If your eyesight becomes progressively worse, CABVI has an on-site doctor to help you with a potential diagnosis of your condition! 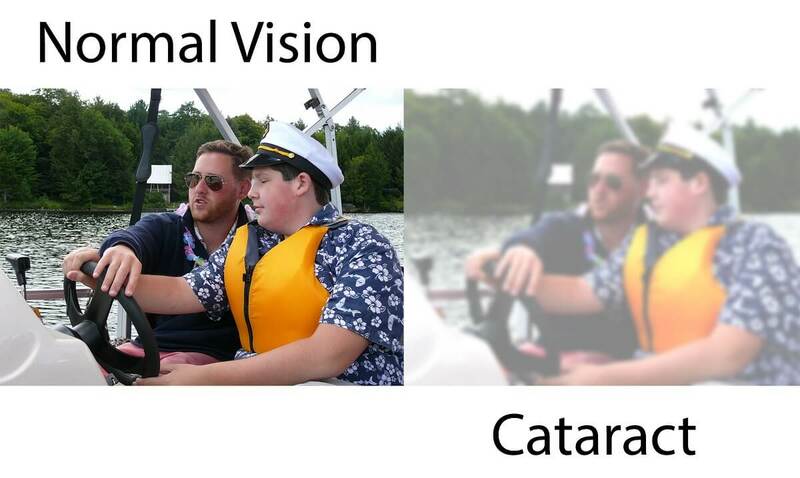 There are two methods an individual can take to combat a cataract. Purchasing a pair of glasses to improve your vision is the first option someone can take to correct their vision. If glasses do not work, optical surgery is the next best option. According to the American Academy of Ophthalmology, nine out of ten people who have cataract surgery regain most of their vision again. To keep cataracts from affecting you, make sure you stay healthy, keep your eyes away from the sun, and make visits to an eye doctor once a year. Early detection means early treatment!